When Janina Fialkowska performs a selection of Grieg’s Lyric Pieces for MusicTORONTO October 28, she continues to champion the cause of a composer who remains his country’s most widely known cultural export, more than a century after his death. The frail, diminutive silver-haired popular composer was active throughout his life as composer, pianist and conductor, consciously marrying Norwegian tradition with new European trends in music. 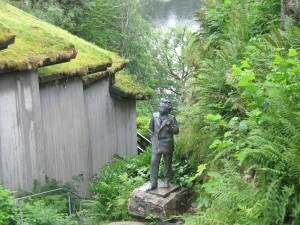 Grieg statue at Troldhaugen, outside the sod-thatched intimate modern concert hall which has been built adjoining his home. “Grieg lives today,” was a phrase I heard many times during my first visit in the early 1990s to the West coast port city of Bergen. The city was Grieg’s home city and is now the centre of a thriving Grieg industry. There’s the usual bric-à-brac of tee shirts, medallions, postcards and Grieg umbrellas (it rains a lot in Bergen as the tubercular Grieg, constantly in ill-health, lamented throughout his life). 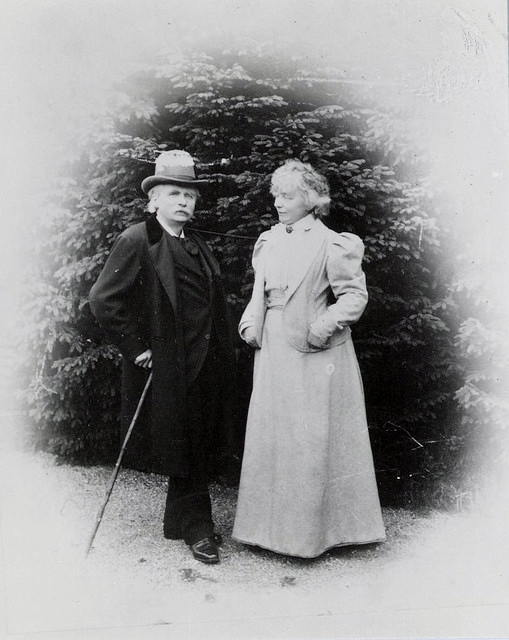 In the nation’s schools back then, over 4000 Grieg projects ensured that there was not a child in Norway who didn’t know about Edvard and Nina Grieg. Troldhaugen, the idyllic turn-of-the-century home Grieg built to find solitude by an isolated fjord, which now finds itself, rather incongruously, in suburban Bergen. Nina, the Copenhagen cousin Grieg married, outlived her husband by almost three decades. In the tradition of Constanze Mozart, Nina Grieg destroyed or edited thousands of his letters. Many of Grieg’s projects were left abandoned, despite the care with which Grieg located his composing cabins at both Troldhaugen and Lofthus. Those works that were completed, however, brought considerable wealth. When Grieg turned out another set of Lyric Pieces, his Leipzig publisher, Peters, was said to raise the flag in anticipation of wide sales. 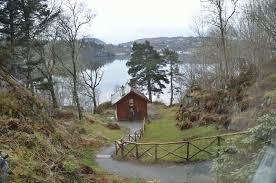 When Grieg died, his estate was worth many millions of Kroner. He held shares in several shipping companies. Future royalties and all his manuscripts, letters, and diaries were left to the city of Bergen. The Harmonien, which Grieg himself conducted for several seasons, later became the Bergen Philharmonic Orchestra. It was sustained by these funds until copyright ran out in the 1960s. Bryggen: the Hanseatic wharf in Bergen, dating back to the 11th century. “I am simply enthused at the smell of fish at the Wharf. 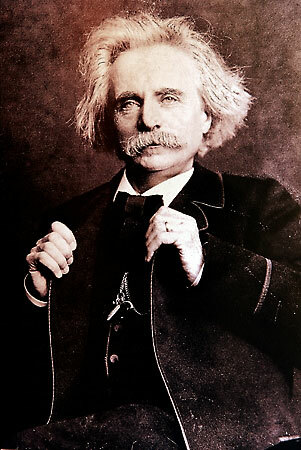 Indeed, I believe there is both coalfish and cod in my music.” Grieg on June 15, 1903, speaking at his 60th birthday celebrations. Today, there are Norwegian composers who find the carefully contrived public image of Norway’s hero stifling. They want to find ways of breaking free from his ever-present legacy. Someday I may get around to posting the full radio documentary I made probing deeper into the life and legacy of a restless Norwegian composer who spent over half his life in Denmark and much of the rest of it travelling as a renowned virtuoso pianist throughout Europe. In the meantime, here is the opening segment – which, I caution, you may find poses more questions than it answers. . . .